Kate Kinsella has no choice but to go after Charley Barstow and talk some sense into him. After all, he's skipped town, leaving a string of broken hearts and his pregnant fiancée, Agnes McPherson. But Kate didn't count on being kidnapped by a band of criminals along the way! Ethan Barstow is hot on his younger brother's trail, too. He rescues Kate, believing her to be Charley's fiancée, and suggests they try to find him together. Kate's reluctance has him baffled. All hell breaks loose when they discover Charley in search of a copper mine—not wishing to be found by anyone; certainly not Kate! But, then, Kate was always trouble—and now she's brought it to his doorstep, with tales of a pregnant fiancée and his brother Ethan, who he hasn't seen in five years. Ethan Barstow reined in his horse and the mare shook her head. From the cover of a band of pine trees, he had an open view of a clearing just below their hillside lunch break. A light breeze caressed the yellow tufts of grass and a startled coyote ran for cover in the distance. Whiskey snorted and flattened her golden-brown ears. Ethan adjusted the brim of his hat and waited. The distant sound of hoof beats became audible and a head bobbed into view over the crest of the open countryside. A torso soon appeared and then a donkey, toting the whole package and doing its best to move quickly. It was a woman. She wore a hat with a string cinched tight to her chin; her bouncing upper body was covered with a dark blouse and brown hair flowed behind her. She would have been a vision to behold if she hadn’t been moving up and down in the animal’s saddle like a woodpecker attacking a virgin tree. The woman’s head whipped around to look behind her and Ethan followed her line of sight. Three men on horseback materialized. “Not a fair chase,” Ethan murmured. The men drew their guns and Ethan’s instincts took over—he slid his rifle from its scabbard. With a smooth motion he lined up the sight and shot one of the men’s hats from his head. The man ducked and frantically looked for the shooter. One of the men, mustached, aimed his gun at the woman so Ethan shot it from his hand. The man immediately cradled his fingers and yelled something at his companions. In a flash the other two began shooting wildly at the woman. Out of the corner of his eye, Ethan saw her fall to the ground with a thud. As the riders continued toward her, Ethan shot one man in the leg and another in the shoulder. More yelling, and they suddenly changed course, veering away from Ethan’s lookout and disappearing over the hill. The gray-colored donkey had continued to run and was now out of sight. Knowing he might not have much time before they returned, he kicked Whiskey in the side and proceeded to the motionless body of the woman. He hoped they hadn’t gotten her. Whiskey halted her long stride in a cloud of dust when they were upon the woman’s body. Ethan slid from the saddle, put the rifle back in its holder and pulled his gun instead. The woman groaned as he scanned the surrounding countryside. Ethan kneeled beside her and pushed the hat from her face. Her hand came to her forehead. “I see stars,” she moaned. She opened her eyes and looked straight at him. Blue eyes. Long lashes. Rosy lips that made him lose his train of thought. Mentally shaking himself, he glanced down the length of her. The dark blue riding skirt bunched around her knees, revealing ivory pantaloons. Further down her boot-clad feet were laced up to just below her shins. Thankfully, he saw no sign of blood on her person. “Yes,” she replied. “I’m fine, really.” She pushed herself to a sitting position. Ethan took her elbow and helped her to her feet, holding more tightly when she swayed. She felt petite in his hands but hardly frail. “Head to the woods,” he said with a nod toward his rest stop for lunch. As she moved hastily for the cover of the trees, Ethan whistled sharply to his horse. Whiskey turned and followed. Ethan walked backward as he scanned the clearing and the sloping hill beyond, his gun cocked and ready at his side. The air was cooler under the shade of the pine trees; Ethan urged them further back until they came to his second horse, Brandy, loaded with supplies. “You sure you’re all right?” he asked as he holstered his gun and adjusted his hat. She was looking at him again, and damn if it didn’t make him fidgety. “Yes. Thank you for your help.” The woman glanced in the direction of the clearing. The tip of her nose was reddened from the sun and her long, loose hair flowed around her in endless waves, making her appear just a bit wild. Why hadn’t she bothered to put it up like most women? Ethan tried to look away but couldn’t. “Why were those men chasing you?” he asked. “Really? I’d greatly appreciate the help. My name is Kate Kinsella.” She extended her hand. In a rush, Ethan’s cursory fascination with her came crashing down around him. Kate Kinsella. The name of Charley’s fiancée. He'd learned three days prior in Flagstaff that Charley had left town abruptly—heading north—and that his betrothed was hot on his heels. No coincidence here. And if the engagement didn’t put her in off-limits territory then Ethan’s history with Charley did. He released her hand, wondering why she appeared so stunned, her lips parted, eyes wide and her complexion suddenly gone pale. “I’m Charley’s brother,” he added. She stepped back, and Ethan had the distinct impression she was about to run from him. She had a plan. This was good. Her plan was to make small talk with Charley’s brother, then run for her life when she got the chance. It was probably beneficial to wait until they had located the donkey since it was unlikely they'd find the three criminals who'd stolen her horse. “Whiskey,” he answered, deftly mounting the animal. Whiskey and Brandy. Great, the man was a killer and possibly a drunk to boot. But the image of Ethan unable to hold his liquor didn’t fit neatly into the small slot she’d allocated for him in her mind. Kate couldn’t relate. It had been quite some time since she’d last seen her own ma. After her ma had remarried when Kate was nine years old—just one year after her pa had been killed—Kate had never felt entirely at home again. By the time she was seventeen, the itch to strike out on her own was too much and she’d jumped at the opportunity to stay with the Finley’s in Flagstaff. That Mr. and Mrs. Finley had known her pa only made her newfound independence sweeter. She loved hearing stories of a father she felt she had hardly known. “How long have you and Charley been engaged?” Ethan asked, as they broke out of the forest. Kate squinted from the bright sunlight, the sun still shining strong although midday had come and gone. She tugged at the brim of her hat as she mentally calculated the length of the engagement in her head since it wasn’t something she often thought about. “Wonderful,” she muttered. She kicked Brandy’s side and pulled to the right on the reins. Nothing. She did it again, harder. Still nothing. Brandy, you sure are stubborn. You’re never gonna grow up if you stay tied to your mama’s apron strings. Kate knew that firsthand. She’d not only left her mama, but she’d cut those strings with an ax. After several more tries, Kate conceded defeat with the horse and tried her best to ignore the close proximity of the man beside her, despite the fact that their legs kept touching. But it wasn’t a problem, she told herself. It wasn’t as if she found Ethan Barstow attractive. In fact, once she hog-tied Charley and dumped him on Agnes’s doorstep, she'd be glad to never hear the name Barstow again. “How’d you and Charley meet?” Ethan asked. He was right, but she didn’t think it wise to agree with him on this. She pasted a half-smile on her face and turned away. “I guess when you know, you know.” That was vague. Oh, he’s mentioned you. She remembered clearly the few pointed times when Charley had talked about his family. He’d been deep in a bottle of whiskey each time and the pain and bitterness when he’d spoken of the brother who had a mean streak and had stolen everything from him after the disappearance—and likely death—of their pa had made Kate realize that the unhappiness she’d felt while with her ma and stepfather didn’t compare to what other people had gone through. Kate shook her head. According to Agnes, Charley didn’t know about the baby she carried, so he hadn’t left because of that, at least not directly. “When do you think we’ll find the donkey?” she asked, hoping to change the subject. “We’ve been following its trail,” Ethan said. He pointed out the flattened grass to their left. “We have?” She thought he’d forgotten all about the search. “Oh.” His casual tone made her remember his reputation of having killed other men. But he’d also most likely saved her life. “Whereabouts are you from, Mister Barstow?” she asked cheerfully, striving to hide her doubts and downright nervousness. “Really?” When did a desperado have time to put down roots? Charley had never spoken about this aspect of his brother. “You look surprised,” he said. “Well, you just don’t seem like the settling-down kind of man,” she replied quickly. She smiled, but she was confused. The man was quite pleasant to talk to. As she often did when she watched the night sky, she tried to connect the stars into a pattern, a picture that made sense. But connecting Ethan’s individual stars didn’t make a consistent picture, or at least one that made sense to her. Kate shook her head. It probably did seem odd that she didn’t know much about Charley’s family beyond what he’d said of his older brother, but then she hadn’t been the girl Charley was sweet on. “We grew up outside Trinidad,” Ethan added. “I lived in Trinidad for a time,” Kate replied. “When I was a girl.” She wondered that she and Charley had never spoken about this shared location. Suddenly the terrain dropped away and Kate spied the donkey off in the distance, head down. He’d finally stopped to eat. Ethan pushed Whiskey into a gallop and Brandy soon followed, not wanting to be left behind. When they reached the donkey, he lifted his head and watched them while continuing to chew his meal. Kate dismounted, and after a quick survey, was relieved to see that all her gear was intact. “How did those fellas steal your horse?” Ethan asked. “I suppose you’re right,” she agreed. Ethan Barstow was lecturing her on the smartest thing to do? No doubt he would have simply killed all three of them and been done with it, for no other reason than to take their belongings. But he’d had the opportunity, and didn’t. 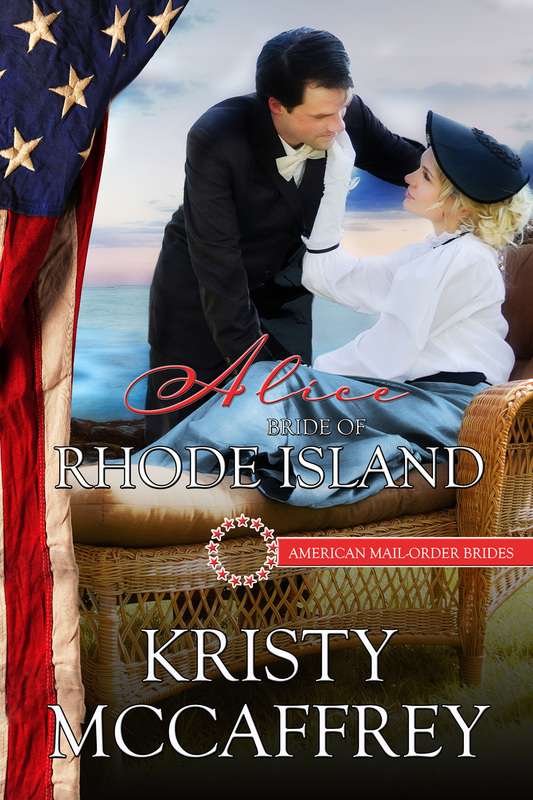 “I was a little nervous,” she admitted, “and good ol’ Pick—that’s my horse—was on the far side of their encampment. I didn’t think I could get there without getting caught. Then I practically tripped over the donkey. I needed something to ride and those imbeciles certainly got the better end of the deal. Who would’ve thought they loved this guy so much,” she said and stroked the donkey’s neck. 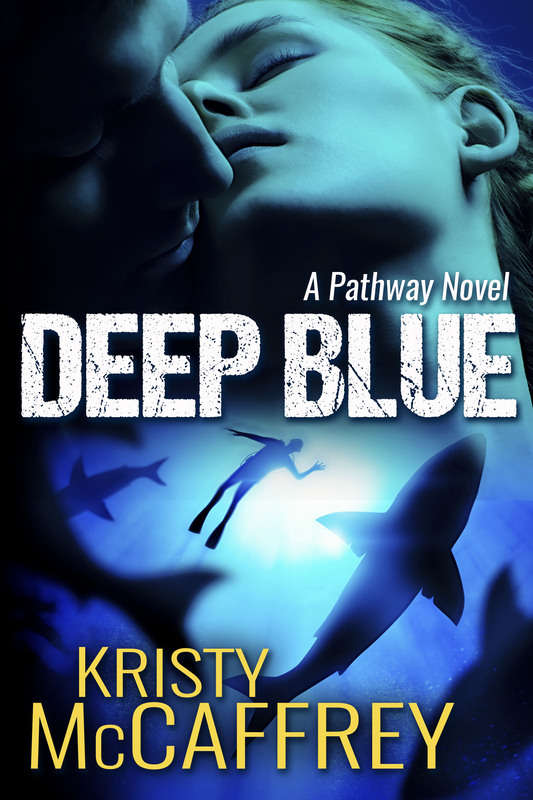 He brayed and showed his teeth, causing Kate to jump back. Come on, show some gratitude. You’re better off with me. Kate felt slightly queasy. Having a known killer as a companion didn’t seem safer to her. She’d rather take her chances with men like the ones who’d stolen her horse. As she stopped rummaging for the paper she gave Ethan a nod and a hopefully sincere smile. She should’ve been an actress since she seemed to enjoy pretending so much. “I suppose you’re right,” she said. But her mind raced to possible alternatives. She would have to devise a plan to escape and nightfall would be the most obvious time. He proceeded to rearrange the gear so the donkey carried most of it. 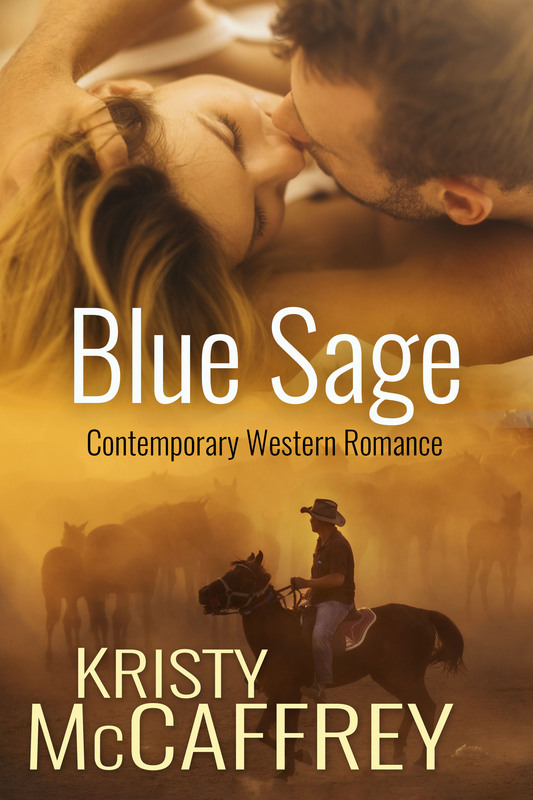 Once they were mounted and on their way, Brandy moved close to Whiskey, and Kate tried once again to get the horse away from her mother and the tall man who rode with such ease and confidence. Kate clamped down her frustration as her leg bumped Ethan’s. The constant touching didn’t seem to concern him. Perhaps she should jump into his lap—it might be better than continuing to struggle with Brandy for the rest of the afternoon. She refused to delve any deeper as to why that thought had merit. Tonight she’d slip from camp and be well on her way before Ethan was more the wiser. She’d find Charley, tell him Agnes carried his child and that he needed to return to her side as soon as possible, and that his brother—the killer—needed to speak with him. Once those tasks were accomplished, she’d be free of this charade once and for all.